As you can imagine, I read the blogs of my fellow Tuesday Tutorials hosts pretty often and when I saw Anna’s Cinnamon and Ginger scented cloud dough last week I knew that it was something I wanted to try with my son. Being me though I knew that I wanted to try something a little bit different so this weekend we made this gorgeous peppermint scented cloud dough! Ok, now to make this clear, when I say four cups I mean four little things, not your big Emma Bridgewater half pint mugs! We used small pots that I use for holding snacks for the kids and that was plenty enough for us. Mix it all together! This is the fun bit! Because I told my son it was cloud dough he wanted us to make little clouds out of it by squeezing lumps of it together. He then took great pleasure in crumbling it up again, making it ‘rain’! We made towers, talked about the mint in our garden and how that was green and generally had lots of fun. It is a messy thing to do so I’d recommend doing it in your kitchen, we *may* have had an incident where it got thrown up in the air a bit and we ended up with ‘rain’ all over the fruit bowl. Hmm! Thankfully as it is made from flour it was pretty easy to clean up and using food ingrediants meant that it was non-toxic so I didn’t have to worry about what would happen if the baby somehow ate some. I think this would make a great activity for Christmas too when the peppermint candy canes start making their way into our home! Follow Kate Williams CraftsonSea’s board Sensory Play Ideas on Pinterest. 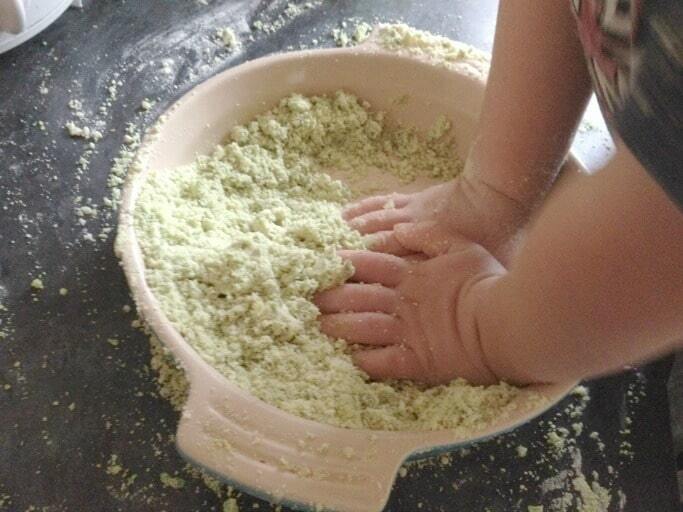 If you like this post you might want to follow my Pinterest board for sensory play ideas! Looks great! I’ll have to try this peppermint flavour! This sounds fun, I’m going to have to make some gingerbread scented cloud dough! 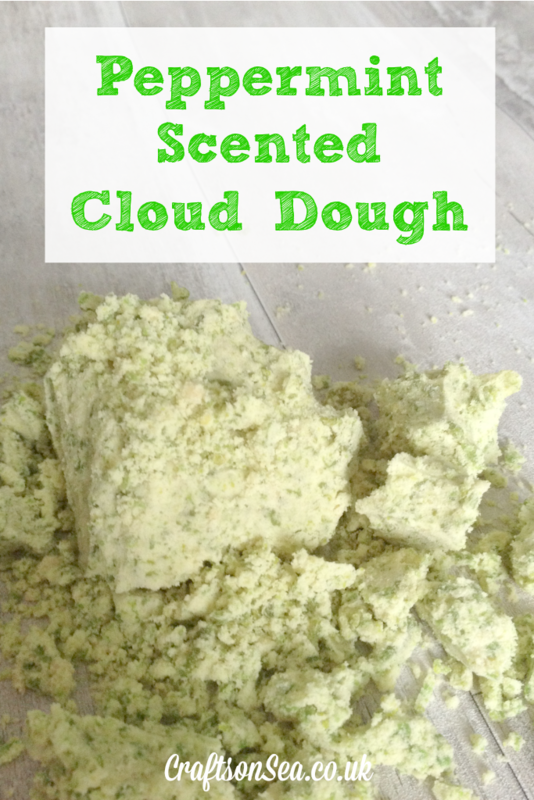 Cloud dough is fun and peppermint sounds great. It’s lovely the way it had a weather theme to the play. I love peppermint everything! This sounds like a lot of fun, and a great way to soothe an upset tummy via play and aromatherapy. You know I didn’t even think of it helping with an upset stomach, that’s a great idea, thank you!